There was a time when hunting at the carboot meant a search for treasure. Hidden within the ephemera of a person’s life there could be great grandmother’s hand embroidered tablecloth, an 18th century silver sugar caster or a Rene Lalique glass vase. Not that I ever found such things, but people do. I spent many mornings over one summer using an eagles eye for the tantalising. I collected all my wedding crockery, decorated with birds and flowers, the fake interspersed between Staffordshire gems. These days if I go at all, my eyes skim the tables left and right, not wanting to delve into the pound store castoff’s on display. Eastern Europeans proliferate, setting up home with our preconsumed tat and the white van house clearance reveals nothing more than the sad detritus of a threadbare life. My husband, as a treat on an early morning, will still take himself off to the carboot. Hoping to revive the flash of archaic pleasure in the last preloved chisel he aquired, like the Holy Grail gleaming in his minds eye. So, this Saturday, off he went to the carboot. I had a friend staying for the weekend and we were at breakfast when he returned with his prize, an ugly, little, spiky, succulent plant. My husband has a need to nurture, to reclaim the lost, the sick and the demeaned, he said that he’d felt sorry for it and that it was only 50p. 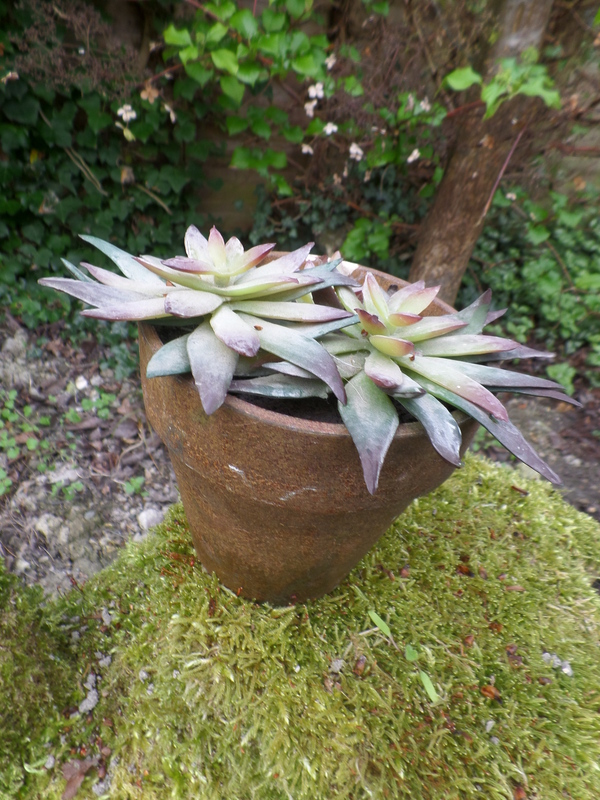 We laughed at it, and him, so he retreated to his shed to repot the little plant, and my friend went home. Later that day he came to tell me that he’d discovered it was made from plastic. how funny, poor darling! gorgeous haibun.